The nation’s first 100% online, asynchronous, CSWE-accredited program. Graduates of the University of New England Master of Social Work program learn to understand the potential for individual and collective human development when people live with dignity and social justice; to identify people’s strengths across diverse populations and how to build upon them; to understand the multiple social, cultural, political, and economic factors influencing the design, development, and evaluation of social policies and programs; to develop the knowledge and skills necessary to carry out multiple social work interventions consistent with the School’s mission and the profession’s ethics; and to develop intervention strategies that empower individuals, families, groups, or communities. Why UNE Online? Our students graduate the program with the knowledge and skills to develop intervention strategies at the micro and macro level that are consistent with our professional ethics. 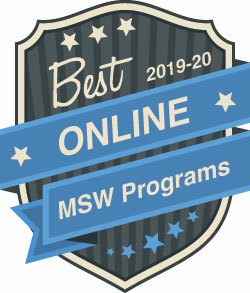 UNE Online’s MSW was the first asynchronous, CSWE-accredited online program in the nation, offering a competitive tuition rate and three admission opportunities per year. With three specializations to choose from when designing your educational course plan, the flexibility of our MSW program helps you meet your specific personal and professional goals. The Clinical Practice specialization prepares students for advanced practice focused on individuals, families, and groups in a variety of settings. The Community Practice specialization prepares students for advanced practice roles in program and policy development, administration, supervision, political advocacy, and community practice. The Integrated Practice specialization combines the core curriculum of both the Clinical and Community specializations. Practice social inclusion to enable people, populations, and communities to fully participate in society, enhance human bonds in the context of cultural diversity and ensure improved quality of life and equitable resource distribution. Engage in culturally-informed relationship building respectful of the complexity and diversity of contexts and circumstances. Utilize theories of human behavior, social systems, and social inclusion when offering interventions with people and their environments. 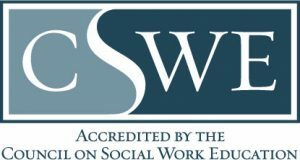 Promote ethical reflection, critical consciousness and shared decision-making based on social work values and with consideration of the broader contexts of the world in which we live. Balance the roles of helpers, activists, and advocates through collaboration with communities to build healthy and sustainable resources. Engage as critical consumers and producers of research and evaluation applied to clinical and community practices. Practice person-centered and collaborative community partnerships across diverse settings.